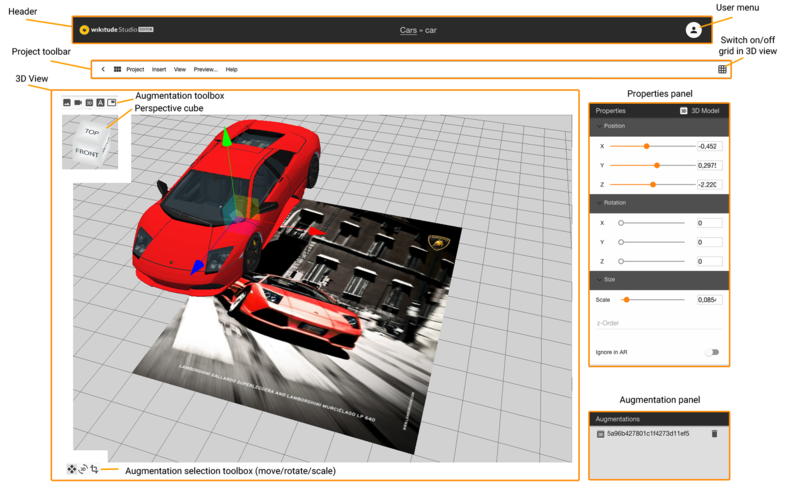 Wikitude Studio Editor is an authoring tool used for creating augmented reality experiences. With useful features and an intuitive interface, it should help you accomplish these tasks without any particular technical skills. Studio Editor lets you add augmentations to your targets, as well as edit and remove them. Augmented projects can be exported for further use or shared for consumption. The interface consists of the Header, the Project toolbar, the 3D view, and the properties panels. In the Header, you will find the logo, the project name, the target name, and the user menu. To navigate back to projects overview, click on the Studio Editor logo. The Project toolbar contains a back button, a side menu toggle, the project menu, and a grid toggle. Click the back button to navigate back to the target overview. The side-menu toggle button opens/closes a side-menu which displays all targets of your project. Click on the target of your choice, to quickly navigate between them and open them in the editor. The 3D View contains apart from the 3D visualization, an augmentations toolbar, the perspective cube, and the augmentation selection toolbox. The 3D visualization displays the target image or the point cloud, depending on the target type. Created augmentations are visualized together with the target and can be positioned in this view. The augmentations toolbar offers a quick creation of various augmentation types. The same functionality can be found in the Insert menu. The perspective cube visualizes the current perspective on the target. Change the 3D view by clicking the sides or any corner of the cube. The Properties panel displays all properties related to the selected augmentation. Most properties can be set/changed in this panel. The Augmentations panel displays all augmentations which exist to the current target. Click on an item in this list to select an augmentation. Click on the trash bin to delete the related augmentation. 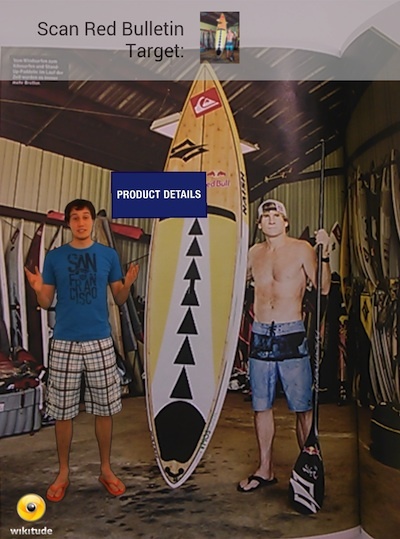 The image augmentation is used to overlay images. Images can be uploaded directly from your computer. Position: Sets the x/y/z-position of your augmentation. The center of the coordinate system is the center of your augmentation and the center of the target. 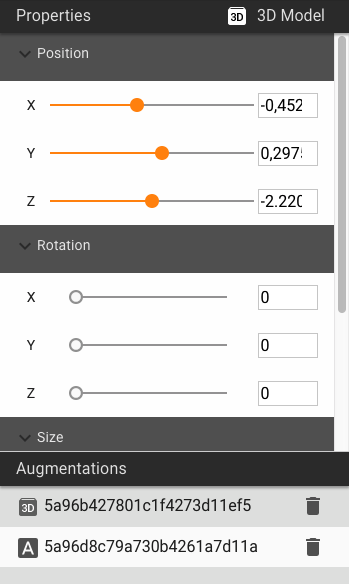 Rotation: Sets the rotation around the x/y/z-axis by a certain angle. Scale: Sets the scale value of your augmentation. Opacity: Sets the opacity of your augmentation. Setting the value to 0 makes the augmentation completely transparent, whereas 1 will render it opaque. 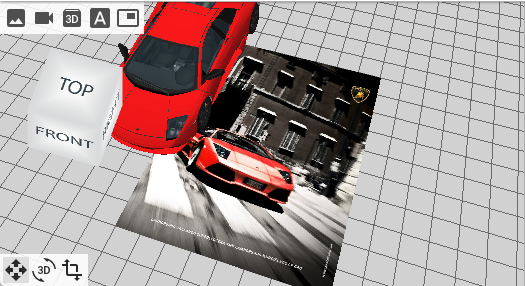 Ignore in AR: If this is switched on, the augmentation is not used in the project but displayed in the 3D view of the Wikitude Studio Editor only. This function can be used for augmentations which help to position other augmentations but should not be displayed in the final project. 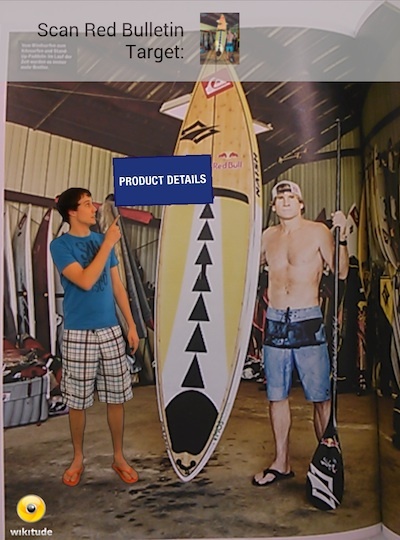 The video augmentation allows you to display videos on top of your target. 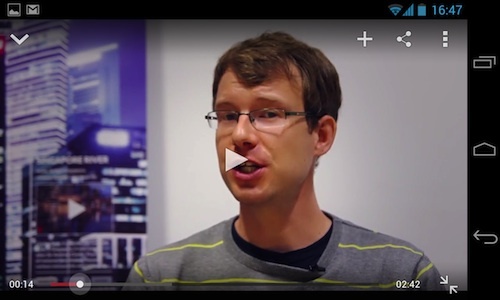 Videos in your AR project can be used in two different modes and from various sources. Exception: External video links (e.g. youtube- or vimeo- links) are always opened in a browser window, independent from the setting. Position: Sets the x/y/z-position of your augmentation. The center of the coordinate system is the center of your image augmentation and the center of the target. Fullscreen Video: Select this mode when you want the video to be played back in fullscreen mode. Overlay Video: Select this mode when you want the video to be played back on top of the target. 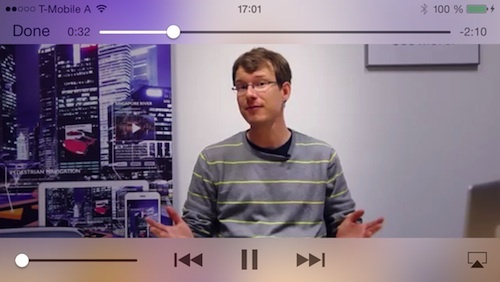 Overlay Video with alpha channel: Select this mode when you want to use a video that contains transparent background. Play Immediately: Enable this setting when you want the video to start immediately after the target has been recognized by the user. Resume on Recognition: Resumes the video from the position it paused when the target was lost, after the target is re-recognized. Loop: Enable this setting when you like to playback the video in an endless loop. This setting is only available for overlay videos and overlay videos with alpha channel. 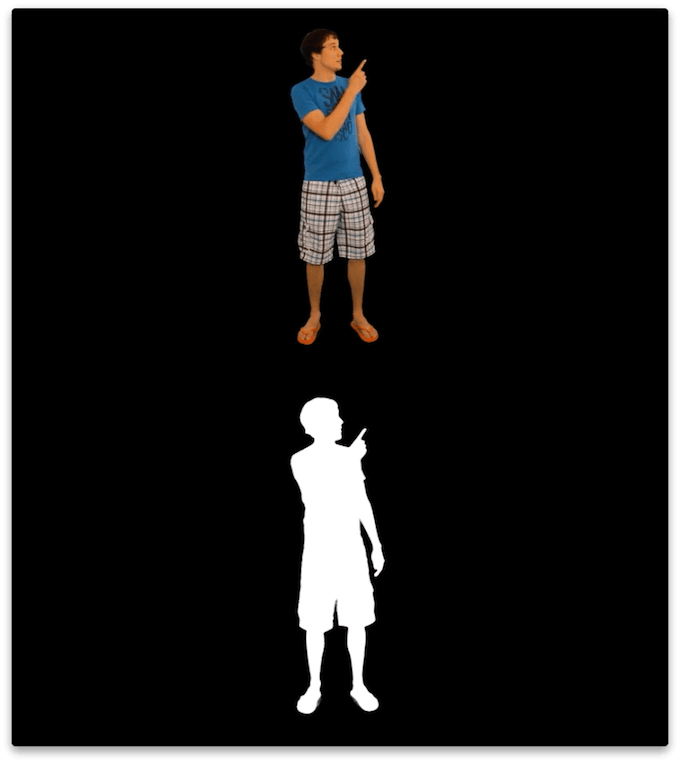 The augmentation 3D Model allows you to display 3D models on top of your target image. The label augmentation for text is the most basic augmentation available in Wikitude Studio. Type in the preferred text, set the RGBA color of the text and that of the background, choose the font type and add it to your target. Once created, the label can be deleted, but it cannot be modified. The button augmentation will add a pre-styled button to your target image. Alternatively, you can upload a custom image and use it as a button. Once created, the button can be deleted, but it cannot be modified. Videos in an augmented reality scene are an effective way to provide a spectacular experience to your users. Videos can run in three modes and can come from different sources. You may upload videos to the Wikitude backend or provide an external link to the video. hosted videos: Make sure to use H.264 encoded files, but other than that hosted files can be used as overlay videos. external link: we do not validate the link, so make sure the video behind the link works as expected. This can be tested in the preview. external link: use any URL or link to a video, which is publicly accessible. This can anything from a link to a file in the public folder of Dropbox to a link to a video on your own server. In any case, make sure to comply with the supported video codecs if you like to use overlay videos or overlay videos with alpha channel. To activate Google Analytics tracking choose Project > Settings… from the menu. 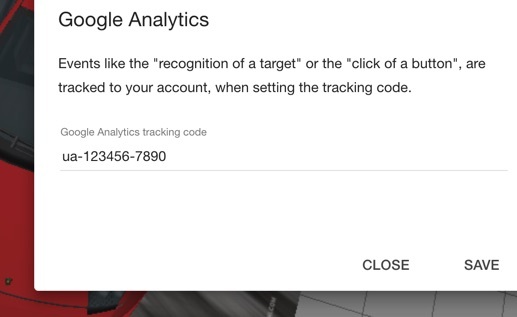 Entering a valid Google Analytics (GA) tracking code in the Settings dialog will allow you to track interactions with your experience to your Google Analytics account. Tracking will take effect in the Wikitude App, when interacting with an exported project or when interacting with a hosted project. Note that due to Google Analytics restrictions, event tracking does not work when bundling the experience into an application (GA internally processes the domain information). You can download your project files for offline use by providing your email address. To open the dialog choose Project > Download offline project… from the menu. The augmented targets and all their assets will then be bundled and sent to you by email. To make your project accessible via the Wikitude app, choose Project > Publish in Wikitude app… in the menu. 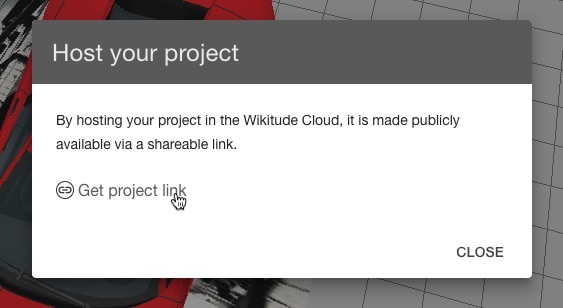 Once the dialog is opened, you can select a thumbnail which will represent your project in the Wikitude app. Next, you have to select a project title. The title doesn't have to be unique and can be used for filtering the project list inside the app. In addition to the title, you can also select a unique shortcode, an optional description, and tags. If no shortcode is selected, it will be auto-generated. In order to change these specifications you need to first Unpublish the AR experience: Open the dialog from the menu Project > Publish... and press Unpublish. Afterwards set the new values and publish it again. Restart the Wikitude App in order to find the AR experience with the new name. If you'd like to make your project publicly available via a shareable link, you can host your project on our servers, by choosing Project > Hosting… in the menu. You may use the link directly in your own app. All augmentation changes to the project targets are applied immediately and available via your link. Keep in mind that the augmented targets of such a project are limited to 1,000 for this purpose. The Wikitude App Templates are pre-configured app projects available for Android and iOS developers. Working with App Templates requires knowledge about application development. They are provided as first step to your own app. In combination with Studio the App Templates already contain your packaged Wikitude Studio project. The App Templates are based on the Wikitude SDK and contain an unlicensed version of the library. For commercial use you require a valid license key - have a look at the Wikitude SDK licensing options for details. The Wikitude App Template is an Android project with the Augmented Camera activity SampleCamActivity.java as a launcher. The pre-configured application name and application icon included in the App Template are placeholders. Also the package name com.wikitude.apptemplate should not be used in a productive environment and must be changed using e.g. ADT Eclipse or Android Studio. Import the App Template as a new project into your IDE. Then right click on your project and select Run as... > Android Application and select your target device (note: emulator is not supported). In case you see compile time errors while building the project you may need to update your project.properties file to fit your installed Android SDK version. Paste the content from your AR project into the assets folder. The index.html must be stored in assets/index.html to be automatically launched on app start. In case you want to load your content from a server, change SampleCamActivity.WORLD_PATH accordingly so that it points to your remote index.html (e.g. http://yourdomain.com/ar-world/index.html). In your IDE then right click on your project and select Run as... > Android Application and select your target device (note: emulator is not supported). In case you see compile time errors while building the project you may need to update your project.properties file to fit your installed Android SDK version. 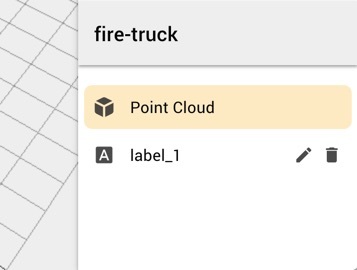 That way you can create any application and define when to launch the augmented reality view. Have a look at the sample application bundled in the Wikitude Android SDK for basic and advanced usage of the SDK. A number of best practice implementation samples are provided and documented. You are only allowed to have one ARchitectView instance at any time. Have a look at different activity launch modes in case this does not fit your application architecture. The App Template is delivered without any Wikitude SDK License, therefore a watermark is embedded which covers the whole camera view. The watermark is shown on top of camera view because WikitudeSDKConstants.WIKITUDE_SDK_KEY does not contain a valid license. Have a look at the Wikitude SDK licensing options for details. The project was created using the latest Eclipse ADT. Proper set-up of Android Development Environment is a prerequisite. To be able to run the application on an iOS device, you must enroll to the Apple iOS Developer Program and enter your subscription details in the Xcode Account preference panel. The Wikitude Studio App Template (App Template) is an Xcode project which simply shows a full screen Wikitude SDK View, loading your ARchitect World from Studio. The exported ARchitect World can be found in the WikitudeStudio folder. If another ARchitect World should be used in the application, it's sufficient to replace the WikitudeStudio folder content with the new files. Make sure that the main .html file, which is used as starting point for the ARchitectWorld, is correctly referenced in the -loadArchitectWorldFromUrl method. To run the application on a iOS device, simply select Product -> Run or click on the Play button in the upper left corner of the Xcode window. Please note that the Wikitude SDK is not able to run in the simulator, therefore the application simply shows a black screen if it runs in the simulator. The pre-configured application name and application icon included in the App Template are placeholders. Also the bundle identifier com.wikitude.WikitudeStudioiOSAppTemplate must be changed in order to submit the application to the App Store (Make sure the bundle identifier you're using in the final application matches the one you've specified during the Wikitude SDK purchase process). The App Template is delivered without any Wikitude SDK License, therefore a watermark is embedded which covers the whole camera view. Have a look at the Wikitude SDK licensing options for details. After you have purchased the License which fits your needs most, enter the license key in the -initializeWithKey:motionManager method (WTViewController line 26). When you're augmenting a target, it might be useful to see your work in action. With the Studio Editor Preview option it's easy to test your project in the Wikitude app. To preview your targets you need the Wikitude App. After opening the app, choose Developer from the app menu and enter your Wikitude Studio username and password. If you have entered the correct credentials, you will now see a list of all your projects. Select the project you want to preview and point the device camera at the respective target. You can also use a QR code reader and scan the QR code shown in the preview dialog. 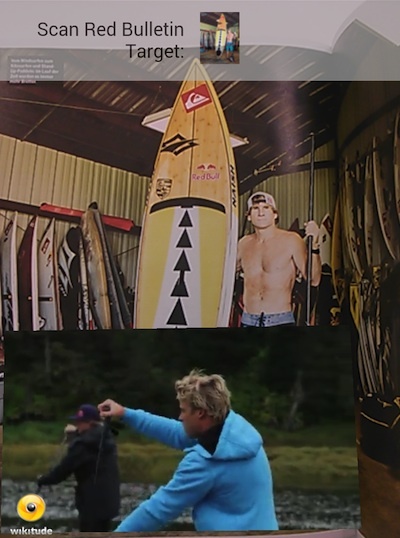 This will take you directly to the camera view in the Wikitude app. For SDK8 object targets, it's possible to transform the generated point cloud. This allows you to reposition, rotate and scale it. 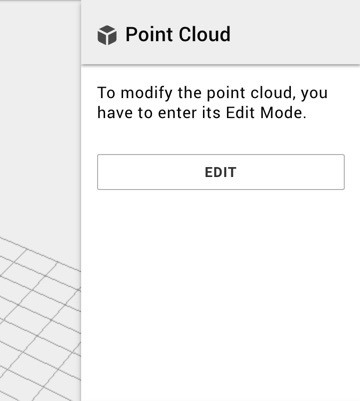 To enter the point cloud edit mode, you have to select the point cloud in the scene entities list. This will show the different point cloud properties in the properties panel above. After selecting the point cloud, click the Edit button to start the Edit Mode. In the edit mode, all augmentations are hidden to allow complete focus on the point cloud. The point cloud can be transformed in the same way as augmentations. To discard changes, click the X icon in the top left corner. To save changes, click Save in the top right corner.